I am gratified to see that some of my corset enthusiast friends, corset educators such as myself, and corsetieres have resonated to my preceding blog on the topic of evaluating the fit of a new corset. This leads me to offer what I hope will be encouraging words to them, and to provide in my next blog additional information on fit specifically regarding proper positioning of the corset on the body. A corsetiere commentator made two important points. One of her clients was initially displeased with the fit of her new corset and precipitously took to the social media airwaves with negative comments that the corsetiere felt reflected poorly on her business. After properly seasoning the new corset, the client later posted that the corset fit quite well (proving once again that brand new corsets never, ever fit perfectly the first few times you try them on!). The commentator appropriately appreciated and considered the feedback, even if not the unfounded content of it. I’ve had exactly the same experience and it was initially quite upsetting. (I suspect that women business owners tend to react with more sensitivity to these matters than do men since we are conditioned to “please” more than men.) Over time I decided that occasional comments like these are inevitable for any business, but usually reflect poorly on the commentator. I’ve always believed that if in personal and professional words, actions, and products we consistently do our best, are honest to a fault, and continually improve over time, learning and listening to feedback as we move forward, then our reputation will stand the test of time with reasonable clients. Note that I say “reasonable” clients. Not everyone is your client, nor is your core business to deal with pleasing every unreasonable person. Second, a word about “normal life chores” that challenge most custom corset makers today who pursue their art and craft with enormous commitment of energy and passion, but with very little pay. Most are not affiliated with Parisian haute couture houses, but are the epitome of “multi-tasking moderns” who work at home in small workshops and juggle family and home responsibilities. 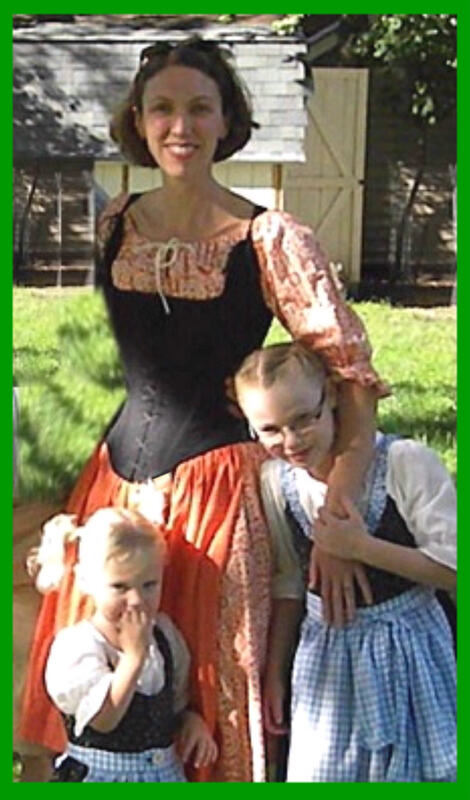 Our ROMANTASY corsetiere Jill pictured left with two of her three children, works at home while both Sharon and Sue are new moms with young babies. In addition, Sharon teaches part time at the University of Alabama at Birmingham and is Assistant Costume Department director as well. Fancy websites can lead the uneducated visitor to believe corset makers and educators lead extravagant or leisurely “artsy” lifestyles — but that’s a rarity. Quite a few work a second job in order to make ends meet, or are improving their skills or education by studying for an advanced degree. When it comes down to it, most corset makers end up earning about $10 per hour for their product. Surprising? It’s true! I’ve always loved this photo of dear Michael Garrod once on our ROMANTASY team, now passed on and surely making corsets for the angels! After he retired from a weather-forcasting job in Britain, he taught himself to make corsets at home as do most corsetieres today, painstakingly making thousands of corsets to hone his craft and become one of the world’s most famed corsetmakers. He confirmed to me that most corsetier’s such as he, work for the personal reward of creating quality, rather than material wealth. 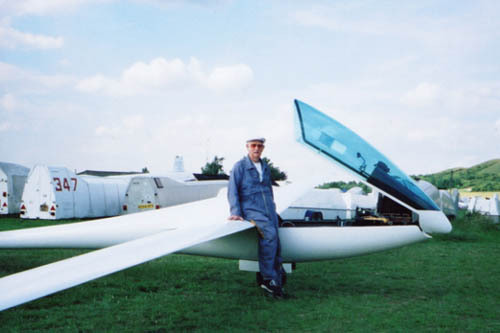 Sometimes he even took a weekend or two off to pursue his other retirement era-passion, that of being a glider pilot. Certainly one earns the right to have a few days off from time to time? Custom corsets don’t materialize instantaneously as do ebooks ordered from Amazon. When corset makers fail to respond within seconds or even a day to a client email, they might have taken the weekend off to attend to a sick child, or might be dealing with a personal health matter or family tragedy. I once dealt with an irrate client whose corsetiere had delayed by a few days in shipping out his completed corset because her mother had just passed on. Even so, some clients seem to have no compassion or understanding of the human condition, and more’s the pity. Sometimes corset makers don’t want to appear complaining, or believe it their right to hold private these personal matters, thus no satisfactory explanation might be offered to the client. It’s likely most beneficial to the clients’ ultimate interests if they remember that a few months of corset production time will be rewarded with years of wear. There is certain ultimate reward if they remain patient and assume the best under the circumstances of delayed response, even while pursuing the information they need and deserve. 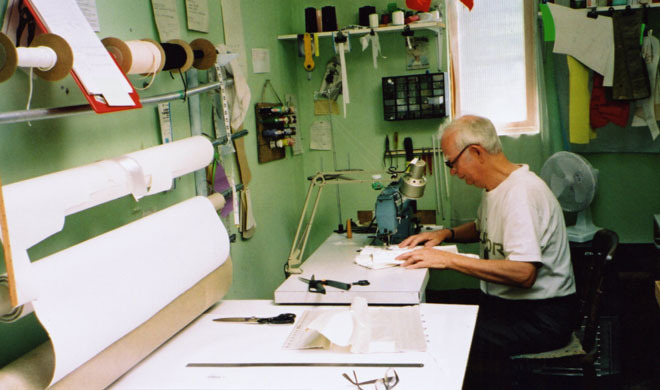 All any corset business owner can do when encountering impatient clients is do their best, note the matter and move on, trusting that their quality and good works over time will speak for themselves.